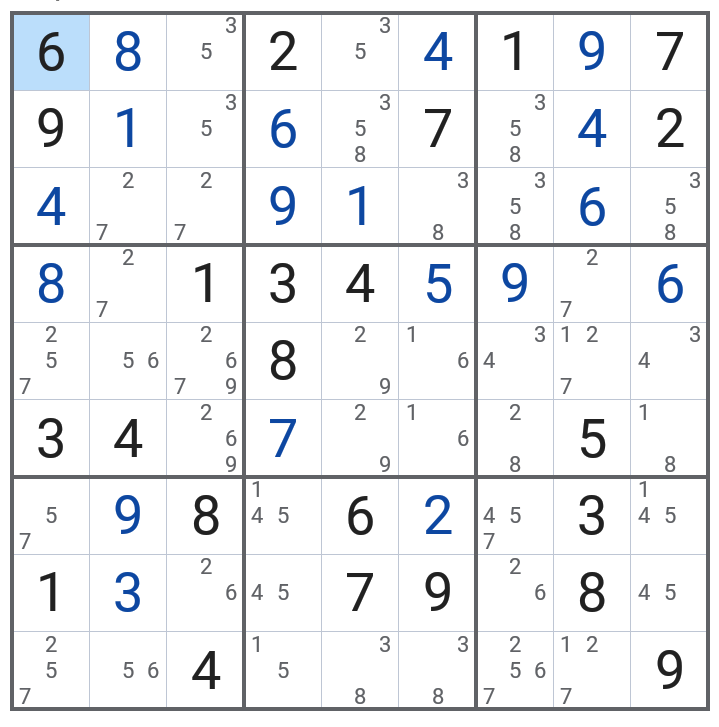 I have been trying this sudoku for nearly 5 hours now but im unable to find any number further...If anyone could help me out i would be really grateful.. In the 8th column, the 7 has to be in the middle box, so it can be removed from the 9th row. The really hard thing to see is that if the element in the 9th row and 8th column is 2, then either you cannot have any 2 in the 1st column, or in the 4th row. Hence this element has to be 1. After that, the Sudoku is easily solved.